To continue the visual narratives that play out in the hallways of the building, interior finishes were used to match the existing office space. 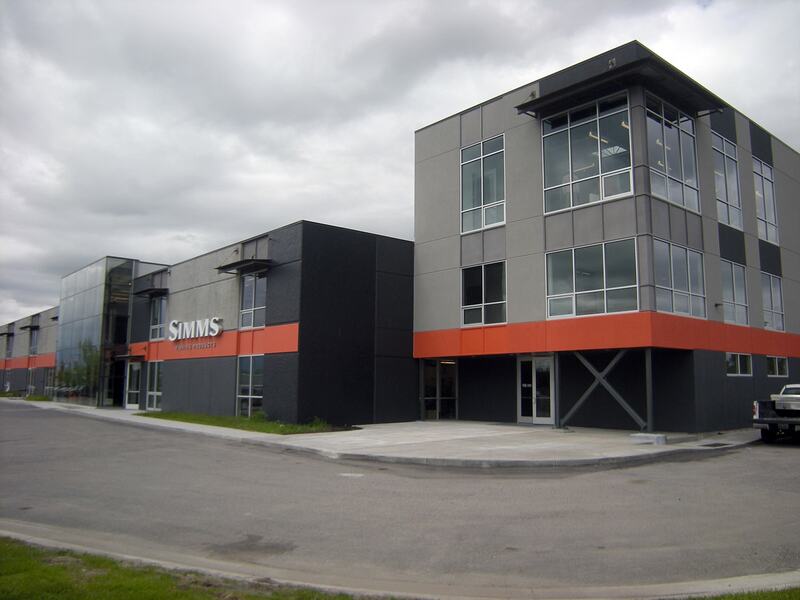 When Simms Fishing Products opened its headquarters in Bozeman, Montana in 2012, it’s building was the talk of the town. 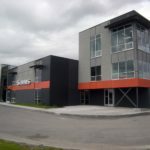 JLF & Associates worked with Big-D Signature Group and Simms to construct a 60,000 square foot office, warehouse, and production facility that represents the life and quality of the work done by employees of Simms. The building also had to speak to the company’s brand as the “icon” in the fishing industry. Even before construction on the headquarters was complete, plans were in motion for an expansion. The expansion includes a 3-story steel framed addition to the existing building. Concrete slabs and membrane roofing were also used to construct the new addition to the building. The addition includes a production warehouse, offices, and a showroom for dealer partners. To continue the visual narratives that play out in the hallways of the building, interior finishes were used to match the existing office space. Big-D Signature crews worked with Simms to ensure that construction would not interrupt day-to-day operations. The project took approximately 8 months to complete. Simms currently employs about 150 employees. The company expects to hire at least 15 more employees with the expansion.